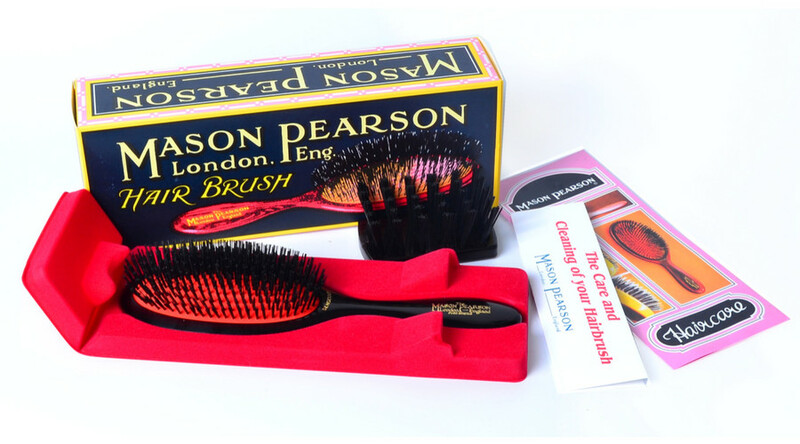 Hello to the new brand in our e-shop which offers the best hairbrushes of all time - Mason Pearson. Find out what makes all the hype around these magnificent Mason Pearson brushes. We've long wondered what brand of brushes to add to our range of hairbrushes. It seemed that everything worth mentioning we already have. But then we came across the Mason Pearson brushes and we fell in love with them. If you haven't had your own Mason Pearson brush yet, then no doubt you've heard of this cult-classic hair tool. Everybody talks about it! Fashion stylist, hairdressers, bloggers or celebrities. Haven't you heard about these exceptional hairbrushes yet? hear about these exceptional hairbrushes yet? Now is the best moment to find out what makes all the hype around them. Mason Pearson hairbrushes aren't mass produced. Most of the work is carried out by hand, using techniques pioneered and patented by the founder - Mason Pearson - over one hundred and thirty years ago and improved by succeeding generations. So, each hairbrush that gets into your hands will be the original. If you have thought that it is normal to pull your hair while brushing, forget it quickly. 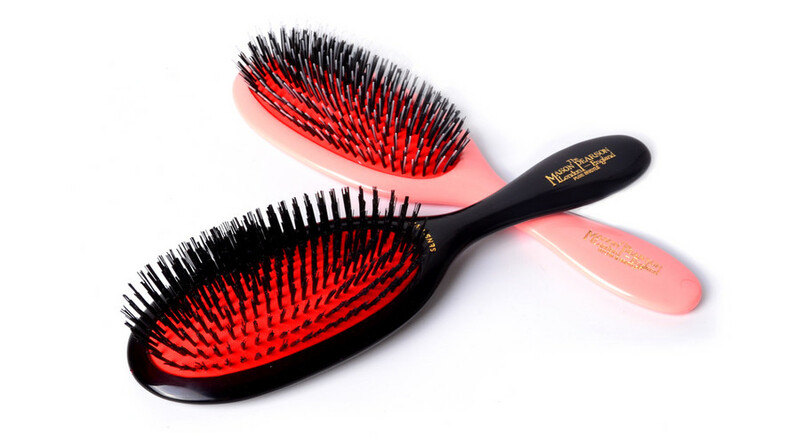 The majority of ordinary plastic brushes can damage not only your hair but also irritate your scalp. But, it's not the case of Mason Pearson brushes! Bye, bye a plastic brush, hello Mason Pearson! All Mason Pearson brushes are super effective and gently to hair. Brushing the hair cleans and polishes it and stimulates the scalp all at once. You'll find that a Mason Pearson brush glides more easily and smoothly through the hair. Brushing is a wonderful conditioning treatment as it not only distributes oil along the entire hair lock but gets rid of any scaly particles as well. 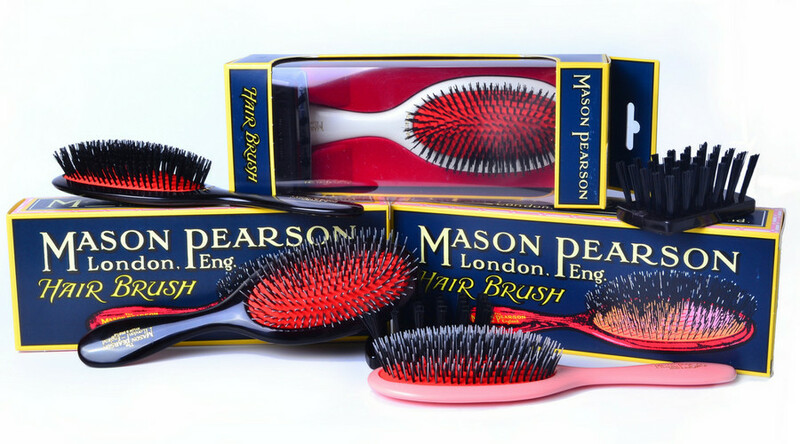 The uniqueness of Mason Pearson brush is mainly in its unique patented rubber-cushion pad, that allows the bristles to flex with the cushion instead of being stiff and scratchy. One type of brush and enough? No! It would not be Mason Pearson not to consider the question whether one brush type satisfies all women with different hair types. The answer is no! 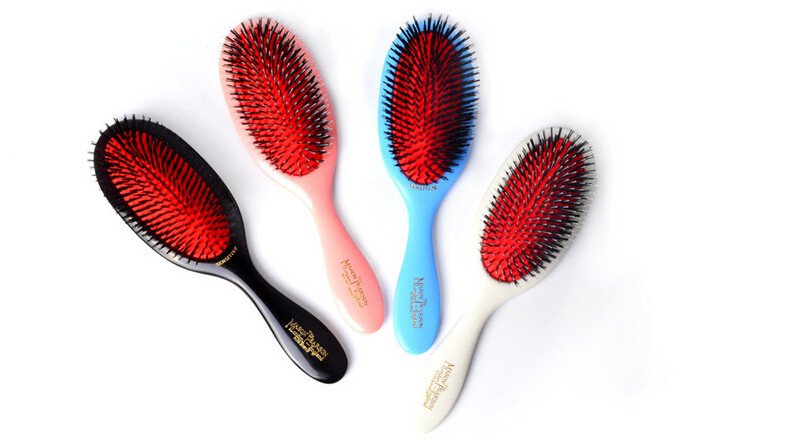 Therefore Mason Pearson company offers hairbrushes with 3 different bristles, in 6 sizes and 4 colors. Especially the first parameter is very important. You can choose boar bristle, or nylon, or bristle-and-nylon mixture. If you've got fine to medium hair, go for the boar bristle version. The boar-nylon mixture version is suitable for medium to thick hair and nylon version for seriously thick and coarse hair. In terms of size, in general, the longer the hair the bigger the brush required. However, if a person is more comfortable with a smaller brush, it may be necessary to use a smaller model instead of a larger one. We offer 4 types of brushes: Mason Pearson Bristle & Nylon Popular - Large (BN1), Mason Pearson Bristle & Nylon Handy BN3, Mason Pearson Pure Bristle Handy Sensitive (SB3) a Mason Pearson Pure Bristle Pocket Child (CB4). There are available in four colors - black, white, blue, pink. Well, tell yourself, who wouldn't want to brush their hair with the best hairbrush? We would! 5) This Brush Will Last Forever! Mason Pearson uses only the best materials that are available in the first-class quality. Therefore, these hairbrushes last for ages! You can inherit them from generation to generation. It will never be an ordinary hair brush! Mason Pearson company is very sophisticated and precise even with regards the packaging of the brushes. Each brush is packaged very carefully in the original box in design that highlights the long-lasting history of the company. The design of pack is up in a majestic style, we are no longer surprised that royal family likes it. In each box, there are very important and practical cleaning tool and manual how to care about the brush so that it will last forever. One disadvantage is a higher price of these hairbrushes. But everyone in the Glamot team agrees that this investment is really worth the money. Moreover, because these brushes last forever, you actually save, if you do not have the urge to buy another. The bottom line? With Mason Pearson products you can be assured of the superior quality, durability and luxury design. There is no better brush investment! We hope you liked the article and that you too will also like Mason Pearson brushes, they will be your loyal companions for your daily hair care.